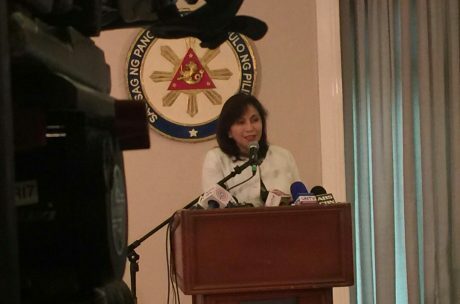 As expected, Vice President Leni Robredo, in her recent press conference remains stuck in issuing motherhood statements about President Rodrigo Duterte’s war on drugs. So much for the symbol of “woman power” she was put up to by her social media fans. Unfortunately for Robredo, that ill-thought-out branding no longer flies — not with the likes of Environment Secretary Gina Lopez making even bigger headlines staring down big mining companies. No mercy: Sec. 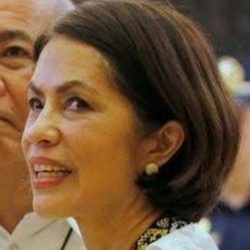 Gina Lopez faces off with big Philippine mining firms! Lopez, on the other hand, would not only have an answer to that question, she’d also have the numbers to back her answer. Robredo’s only asset at the moment is the Yellow media. Unfortunately she does not seem to employ a smart enough staff of handlers to build a credible brand for her on the airwaves (and timelines). That’s even more unfortunate for the Philippines’ Opposition — which exists more in potential rather than in tangible substance. Robredo has always been seen as the leader of that Opposition — which is probably why she delivers the occasional press conference and sticks to her tired old campaign script. In this regard, she is becoming more of a liability to the Philippines’ nascent feminist movement — a relic of the perverse Filipino form of liberalism that she embodies; one heavy on victim mentality and feather-light on exhibiting any ability to slug it out in what essentially remains a man’s world. Next Article We need to talk about that Kwentong Jollibee Valentines ad! The VP is digging her own demise by numerous irresponsible and unnecessary utterances. Only a few believe now with her advocacy, founded on nothing but reactions to whatever the government been reforming, and nothing new to hold on something credible. If you want to be a credible opposition, please do away with reactionary utterances and do something or utter something that is feasible and acceptable to the many. The way I look at it is that ; The VP Madam Leni Robredo , allowed herself to be used by the LP to achieve their personal goals . rallies not related to her job as the Sec. of HUDCC … she would still be a Cabinet Member of the present administration and be able to help a lot of people affected by typhoons and earthquakes . Too bad , it did not happen that way . Well, you know what they say in Marketing: advertising a bad product is worse than no advertising at all. Leni Robredo might have the yellow media and yellow PR machine behind her, but the more exposure she gets, the stupider she looks. Instead of building up her image, all her interviews, press cons, and press statements just raise people’s awareness of her brainlessness and uselessness. Sobra ang pagka-inutil, ibang klase talaga. Cory Aquino was at least capable of speaking in straight English and straight Filipino, and she didn’t have the same social-climbing pretensions as Robredo since she was real alta sociedad. As long as the opposition is “led” by Robredo or anyone linked to the yellows, it will never be credible. Only a constructive non-yellow third force with no oust-Duterte ambitions will be acceptable at this point. Kung baga sa produkto, sayang lang ang airtime na binibigay kay Robredo. Hindi talaga yan bebenta. Itapon na yan at mag-launch ng bagong produkto. At tanggapin na mahirap talagang tapatan si Duterte. Masyadong mabenta. It’s All Mind Over Matter, If I Don’t Mind, Then it Doesn’t Matter. Leni Robredo is a fake Vice President. This woman talks nonsense. I have not seen any good accomplishments she had done, ever since. All she does is talk and talk. Or become a model picture in magazines….